The pair of Cranes at 77cms. 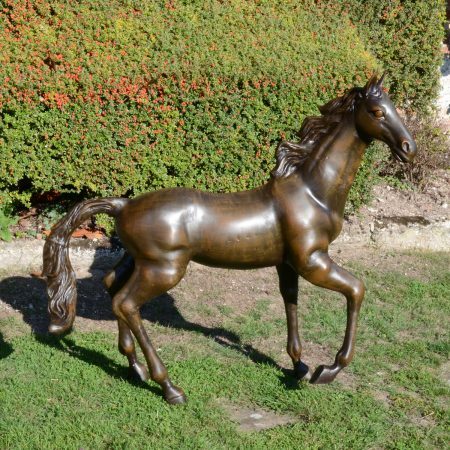 and 61cms. 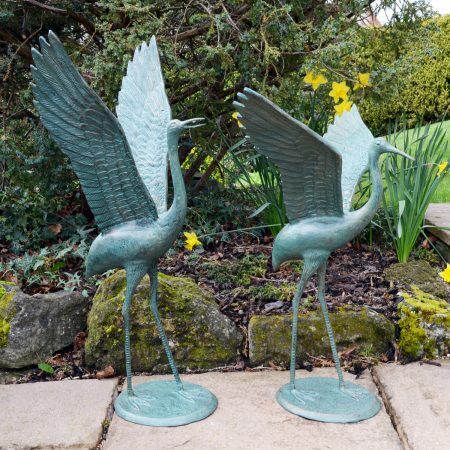 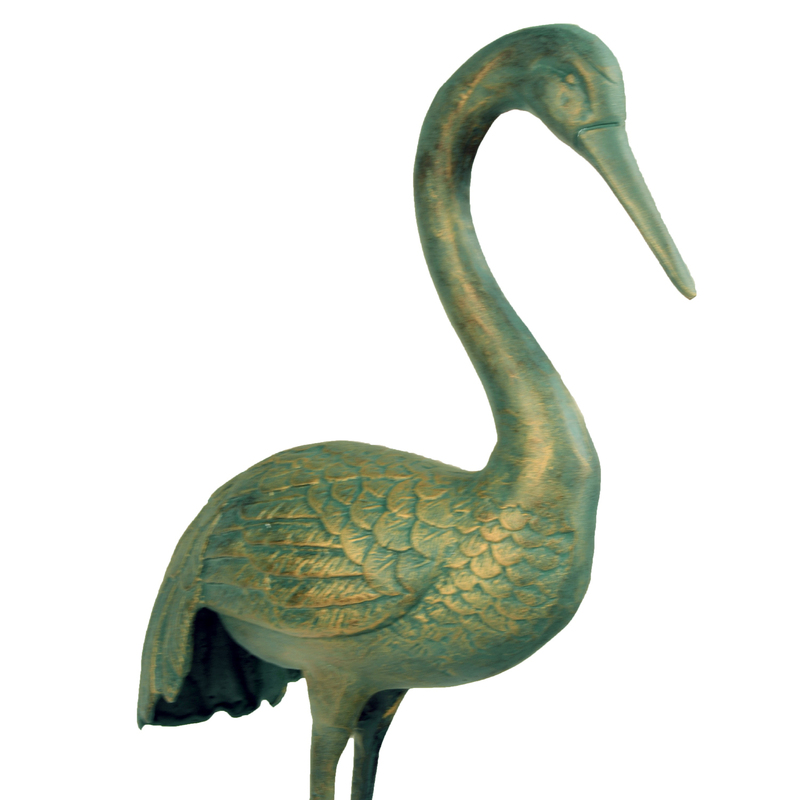 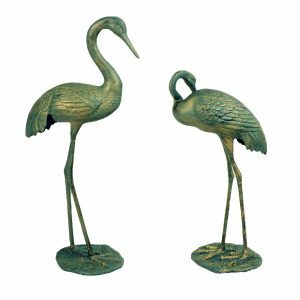 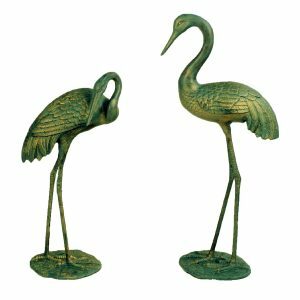 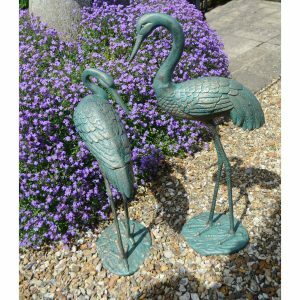 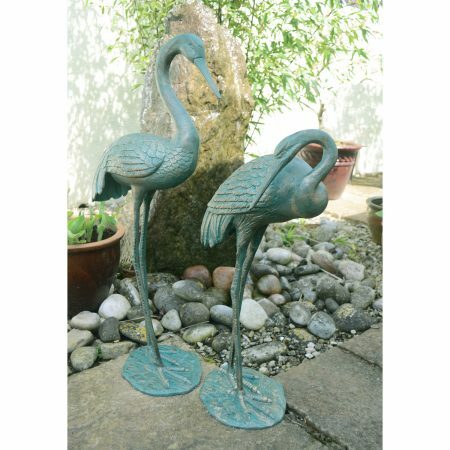 tall, on individual bases, Cast from aluminium, and finished in an attractive Verdigris and bronze effect. home almost anywhere in the garden, as it’s not only fish they eat! 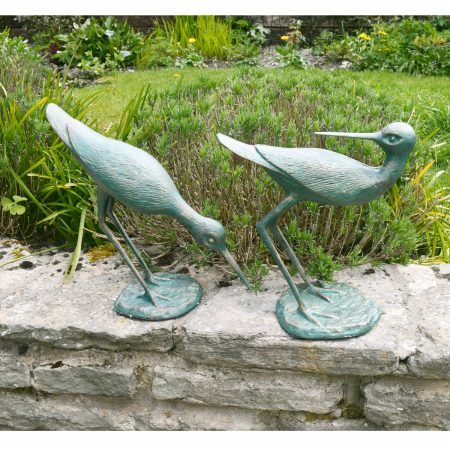 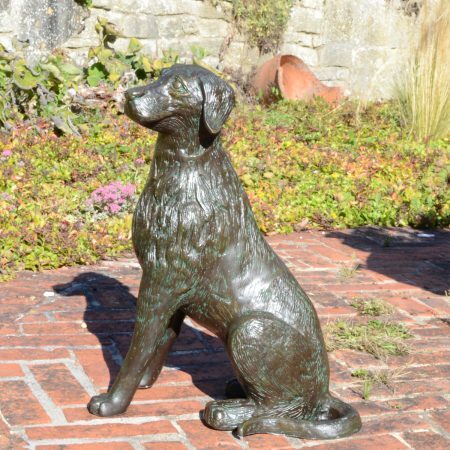 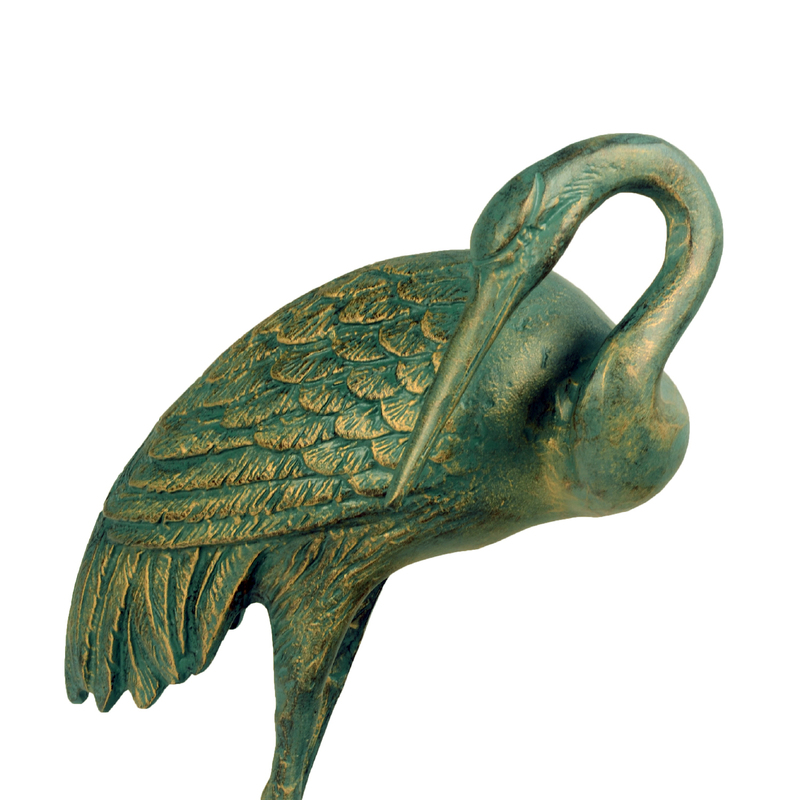 Cast from aluminium, and finished in an attractive Verdigris and bronze effect.